If you have ever used a global positioning system (GPS) or the map app on your mobile device, you know it can be extremely valuable to help you get to a new destination. 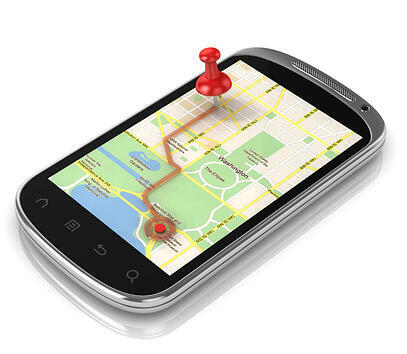 Without a GPS there is greater risk of getting lost in unfamiliar areas or encountering delays that could be avoided from alerts provided by the apps and systems. Without these new devices and apps, we find ourselves having to return to familiar landmarks or being re-routed; both are a waste of valuable time and can be very frustrating. Create interest in the position and promote the company’s brand. Develop a GPS that will market your company and generates a compelling story to get candidates engaged and wanting to be part of the leadership team. Be sure to include special recognition and awards which highlight the company’s relationship with customers, associates, business partners and communities. Inform people about the company and organizational structure. To attract candidates who may not be familiar with your company, the GPS can provide information about the company’s business and leadership, operational and financial performance, organizational structure and relationships, as well as the company’s culture. Provide a clear description of key responsibilities and accountabilities. Candidates want to know about the performance expectations of the position. This information will allow them to determine if it is the right role to pursue based on their own qualifications and career trajectory. The GPS should provide insight about why the position is needed, and how it is linked to the company’s business strategy, mission, and values. Establish assessment criteria for interviews and selection decisions. A GPS should highlight the required and desired qualifications, skills, education, and professional certifications. It should also emphasize the leadership competencies and behaviors that are essential to successful performance in the position. The GPS should be transparent with regard to travel requirements, unusual working conditions and ability to work remote or tele-commute. Provide links to other sources of information and points of interest. Candidates make decisions about new employment opportunities when they have information about the location of the position, area-education, housing, transportation, health care services, and social activities. Providing links to external organizations will accelerate a candidate’s decision process about the opportunity and will demonstrate the company’s early engagement with candidates. Even if you anticipate you may fill a position with an internal candidate, create and use a GPS that contains information about the key responsibilities, accountabilities, relationships, and leadership competencies. Internal candidates and executives involved in the interviews will find the selection process to be more objective and the GPS can support the retention, development, and engagement of internal talent not selected for the position. To create a Great Position Specification, consider your final destination: the assessment, selection and retention of leadership talent that will enable your company to grow and perform better than your competition. Today, many companies operate in a matrix organizational structure with multiple internal reporting relationships. In these structures, the evaluation of a candidate’s credentials and qualifications will include people beyond the hiring manager. The development of a GPS should include the participation and input from key stakeholders outside of the hiring organization who will either have an impact on or will be impacted by the performance of the person selected for the position. For example, the GPS for an SVP / General Auditor may include a review by the Board’s Audit Committee, the CFO, and if appropriate, the company’s independent audit firm. The GPS is an excellent guide to help stakeholders identify potential candidates and ensure the appropriate assessment criteria is included in the position specification prior to starting the search. A GPS will eventually support the new executive’s on-boarding, as well as establishing meaningful performance objectives and evaluating leadership performance. So before you start your next search, develop and use a GPS to avoid going in the wrong direction or being “re-routed” due to inadequate search planning and poor selection decisions. Our guest blogger this week is: James “Jim” Mueller. Jim is a senior executive search consultant and Founder of Executive Search Advisory Partners. He has over twenty-five years experience developing and leading internal executive recruiting organizations with companies such as IBM, Marriott International, The Gillette Company, The Goodyear Tire & Rubber Company, and Freddie Mac. His experience includes conducting senior leadership search assignments spanning multiple industries across global markets and virtually every corporate function. Contact him via LinkedIn or Email.